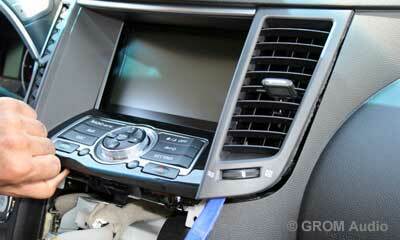 Here is the original stereo of Infiniti FX35 2009. The passengers and drivers soon will be able to access, play and control the music, stored on the flash drive or iPod, via factory stereo. 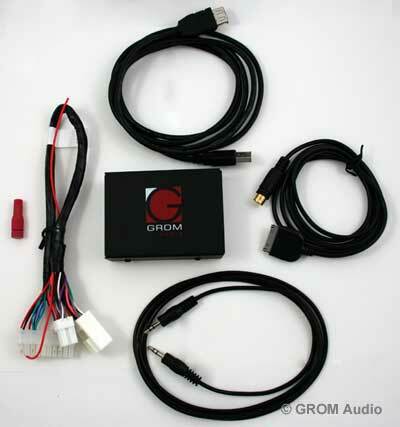 The GROM-USB MP3 Car kit for Nissan/Infiniti consists of GROM main module, vehicle specific radio cable NIS2, USB cable, and optional iPod and AUX 3.5mm cables. 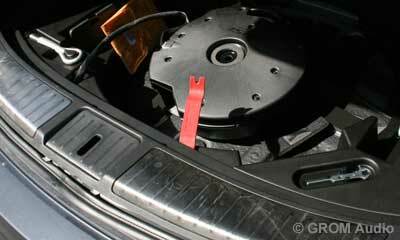 Open center console lid and remove front trim piece by lifting up under lip. 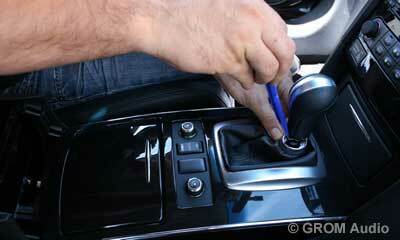 Remove shifter knob by sliding the trim ring down and removing metal retainer clip. 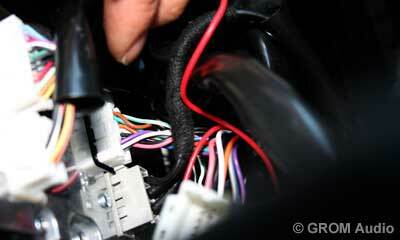 Starting from the rear of the center console panel, gently lift up working forward. 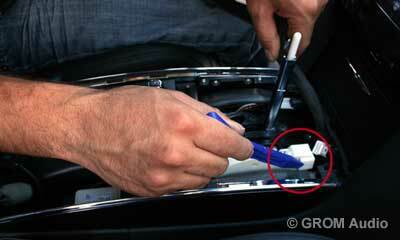 Disconnect the white plug and place the assembly aside. 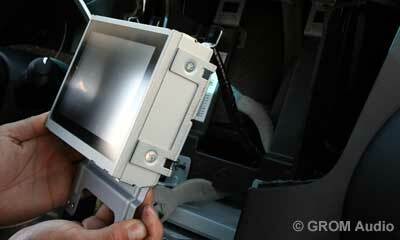 Pull and remove center tray and power outlet assembly as one. Disconnect the white plug. 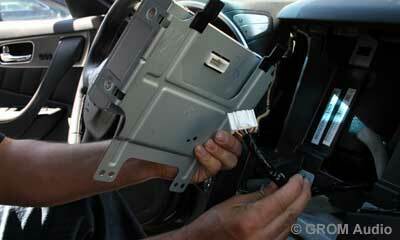 Remove two screws from the bottom of the radio/climate control panel. Panel will slide down and away. Disconnect the four plugs. 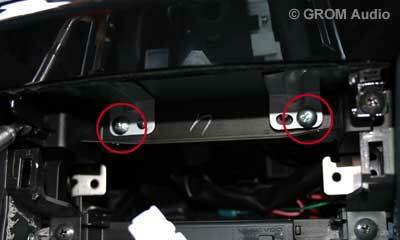 Remove two screws that hold in the top controls and vents. Gently pull out as one assembly. 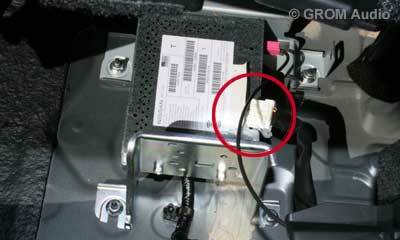 Remove the top two screws that attach to the metal brackets. Pull the monitor/display bottom out and then slide down. Disconnect the plug at the rear of the monitor/display. 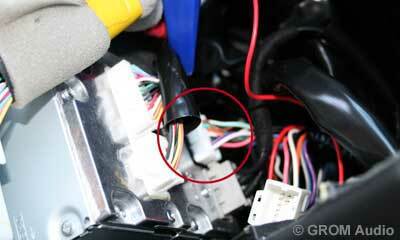 Remove the bottom two screws of the radio assembly. 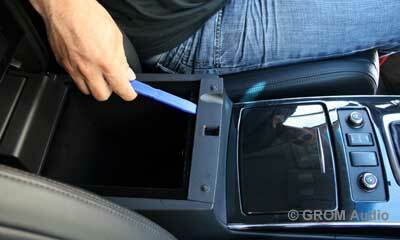 Protect center console and slide out radio to access rear radio ports. 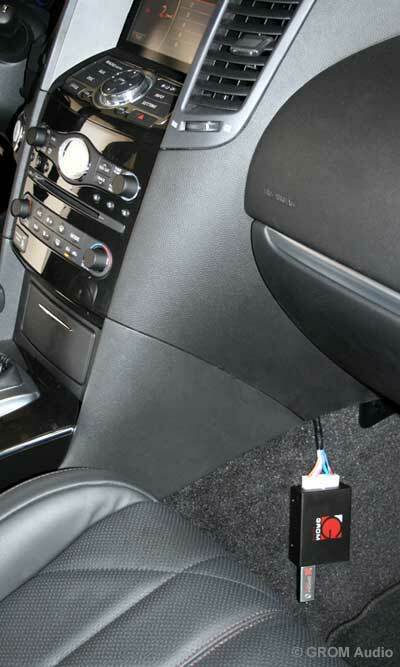 Connect the red wire of the vehicle-specific NIS2 harness to the radios 12 volt constant power source using the supplied Posi-tap. 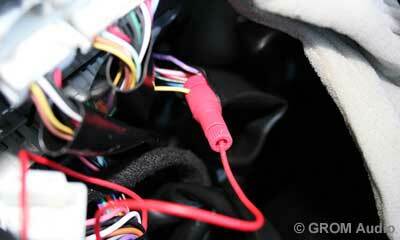 Connect the white plugs of the NIS2 harness inline with the factory radio harness. You may mount the GROM USB unit behind the radio (USB extension is included) or place near the glove compartment as shown on the picture. Now you will need to mount everything back. 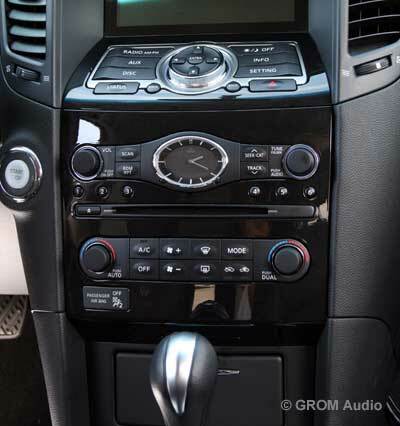 The next steps are important because GROM-USB and iPod car kit uses the XM mode of your satellite ready Infiniti stereo. 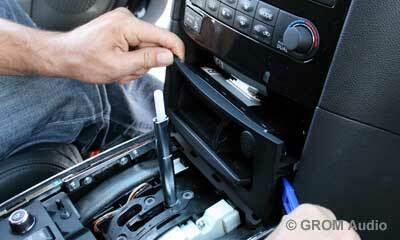 Therefore the factory (OEM) satellite radio tuner must be disconnected in order to use the GROM USB and iPod Car kit. 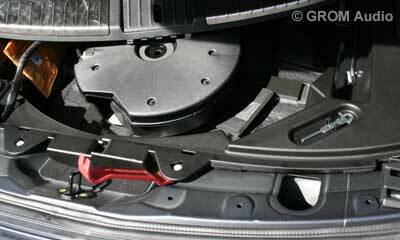 Open your trunk. Remove the rear door plastic panel. Locate the factory installed XM tuner. Disconnect the white plug as shown on the picture above. Go back to the radio. 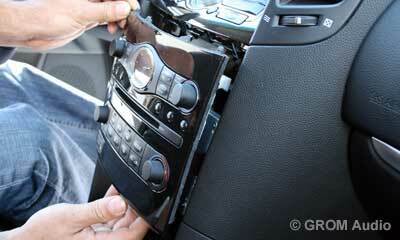 Activate GROM USB unit by pressing "RADIO" button and putting the car stereo into the satellite mode.